Complement your software solution with Textkernel’s leading-edge applications and make sure your customers benefit from the latest innovations in recruitment technology, on a desktop and on a mobile. Empower your CRM, ATS or Talent Management software and stand out from the competition with Textkernel’s multilingual CV parser, its semantic search & matching technology, sourcing tools, labour market analytics and lead-generation applications. Its expertise in the fields of semantic technology, web mining, machine learning and artificial intelligence, and a profound understanding of the market, make Textkernel your ideal technology partner. Provide your customers with a powerful parsing tool able to automatically convert any job, CV or social media profile into a complete and searchable record and allow them to effortlessly build a qualitative talent pool. Open up your database with Textkernel’s intelligent search technology integrated into your system. Enable your customers to semantically search the database for the best talent and simultaneously source multiple (CV) databases and professional networking sites. 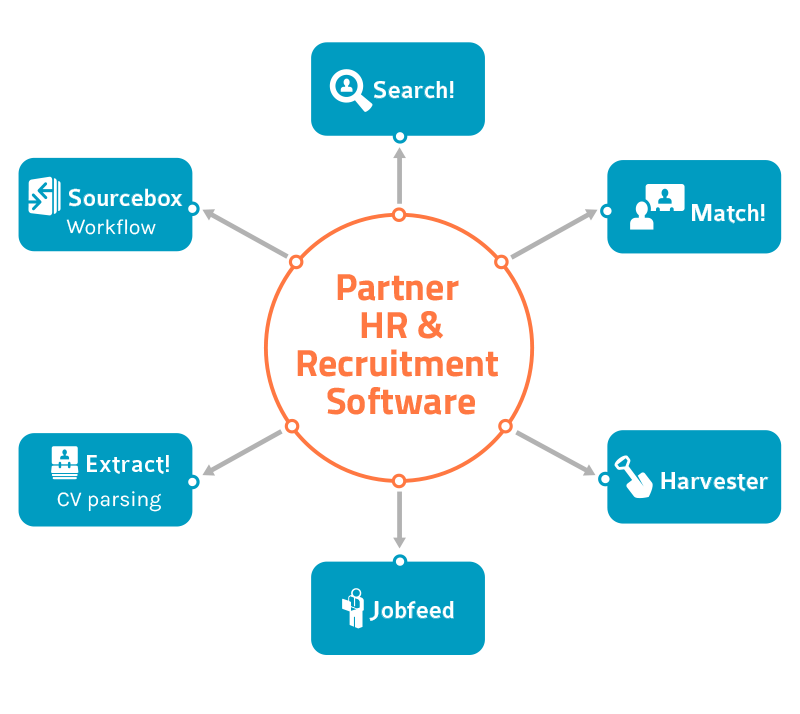 Textkernel's CV and job parsing technology, combined with its powerful semantic search and matching algorithms, make Match! a cutting-edge recommendations engine that will give you and your customers a competitive advantage. This document workflow application provides an ideal, user-friendly interface to process a large volume of CVs. By integrating Sourcebox to your software solution, you provide customers with the means to speed-up and improve their recruitment process. Jobfeed is a searchable and analysable database of all real time and historical online job data. Link this valuable source of information to your system and offer your customers exclusive access to the online job market. Enable your customers to automate reposting of their customer’s vacancies onto their own job site. This will save your customers, as well as your customer’s customers, time and effort in republishing jobs.